As most mega cruise ships that homeport in Florida embark from Miami or Fort Lauderdale, the Port of Palm Beach remains in the shadows of its fellow ports to the south. The Palm Beach area, however, is a dazzling destination in its own right, with plenty to do before boarding a cruise or upon your return. The port's history dates to 1915, including a car ferry service to Havana, Cuba, after World War II. Although true-blue, multiday cruises with luxurious amenities sailed from Palm Beach to the Bahamas in the '70s and '80s, its passenger services have since dwindled to casino cruises and budget day trips. Multiday cruises returned to Palm Beach in 2009, when Bahamas Paradise Cruise Line's Grand Celebration made it a homeport, and for several years it remained the sole option for cruising out of Palm Beach. In 2018, Bahamas Paradise Cruise Line expanded its fleet to include Grand Classica, which now also homeports in Palm Beach. Both ships sail the same two-night Bahamas itinerary. The second-largest county in Florida, Palm Beach consists of several notable cities including Boca Raton, Boynton Beach, Delray Beach, Wellington, Jupiter and West Palm Beach (the largest of the group). Known as a sophisticated playground for wealthy vacationers, Palm Beach has no shortage of lavish golf courses, high-end shopping areas and eclectic restaurants. The area contains 47 miles of Atlantic coastline, as well as the Intracoastal Waterway, which makes it ideal for sport fishing, scuba diving, parasailing and other water sports, as well as a number of family-friendly beaches. No matter how long you're in town, exclusivity is part of Palm Beach's appeal. You'll be glad you aren't sharing the port with thousands of cruisers disembarking from other ships. 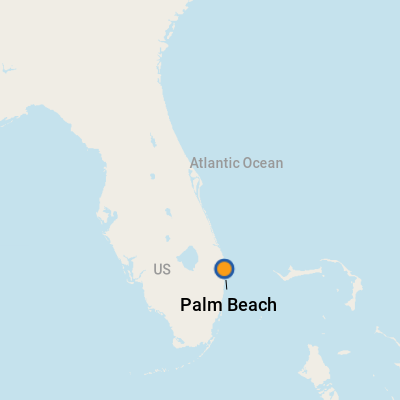 The Port of Palm Beach (1 East 11th Street, #600, Riviera Beach, FL 33404) is just over 8 miles north of Palm Beach International Airport in the small city of Riviera Beach. Within the marina district, there's not much to see or do. The terminal lacks dining facilities or gift shops, but there are vending machines and an ATM. The area immediately surrounding the port isn't the safest and, besides warehouses and shipyards, you'll only find some fast-food restaurants, kayak rentals and a dive operator. The best bet for nearby dining, internet and shopping options near the port is to drive along Blue Heron Boulevard or 45th Street. However, visitors are widely advised to take the short drive into downtown Riviera Beach to find restaurants, shops, water sports and other creature comforts, rather than exploring the port itself. 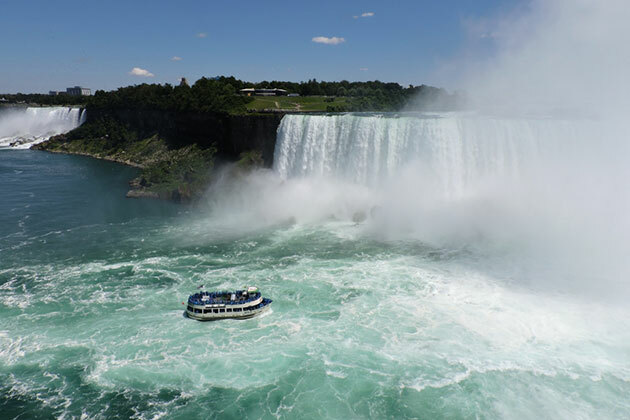 Cruisers with a bit more time to spare should consider visiting some of the surrounding cities, as well. The main tourism hub of West Palm Beach is located 5 miles south of the port and features dozens of excellent dining options, a bustling theater and arts scene, a weekly green market, weekly live performances on the waterfront, gorgeous views of the Intracoastal and more. It's an excellent area to while away a few hours walking the palm tree-lined streets. "Dolphin" appears on many restaurant menus in the area, and it can be worrisome to some visitors. As a heads up, they are not talking about Flipper: It's a nickname for mahi mahi, a white flaky fish that is absolutely delicious. The ritzy feel of West Palm Beach can give tourists a false sense of security. The city is mostly safe, but not immune to pickpocketing, so keep your belongings close. From the Airport: The easiest choice for cruisers embarking in the Port of Palm Beach is flying into Palm Beach International. The small airport is served by most major airlines and has a few buzzworthy amenities: a putting green, a spa and a children's play area. Super Shuttle offers shared ride shuttle services between the airport and the cruise port for around $15 per person, with discounts for more than one passenger traveling together. Taxis are widely accessible, both Uber and Lyft are active in the area, and most major hotels offer a courtesy shuttle. Public transportation (Palm Tran) is available, however travel times from the airport to the cruise port average around 90 minutes. Alternatively, Fort Lauderdale-Hollywood International Airport offers a wider variety of flight options and is about an hour's drive south of the port. Affordable one-way car rentals can be found at the Fort Lauderdale-Hollywood airport. Or, you can rent a car for the duration of your cruise (which might make sense for a low rate and just two days) and use the valet service that is available through the cruise line. Passengers can hop on the Tri Rail to West Palm Beach and transfer to the bus system. Public transportation is not an ideal way to reach the Port of Palm Beach from Fort Lauderdale. Those taking this option should allow extra time: The trains are frequently delayed. In the Palm Beach Area: Palm Tran is the public bus system that services the Palm Beach area. Fares are $2 one way, or $5 for an all-day pass. Those visiting downtown West Palm Beach can also hop on the complimentary trolley that stops at most major tourist attractions. By Taxi: Taxis are plentiful, cheap and metered. Be sure to ask whether the credit card machine is working prior to entering the cab; many drivers like to pretend it is broken. By Bike: West Palm Beach has a bikeshare program called Skybike with more than 14 locations and affordable rental rates. Pickup and drop-off locations are visible and easily accessible up and down the main strip. By Water: Palm Beach Water Taxi offers shuttle transportation to and from Peanut Island -- an 80-acre waterfront county park in the Lake Worth Inlet -- for $12 round trip; children under 3 are free. U.S. dollars are used and, while credit cards are accepted almost everywhere (including parking meters), ATMs are also readily available. English is primarily spoken in the Palm Beach area, but visitors will likely encounter some Spanish-speaking natives during their visit. With so many miles of coastline, it's no surprise that seafood is a highlight on any menu in Palm Beach. Local favorites include grouper, mahi mahi, coconut shrimp and Florida spiny lobster. Visitors shouldn't miss stone crab; during its season, from October through May, signs outside restaurants and markets announce that it has arrived. Alligator -- typically served as a fried appetizer -- can also grace menus in South Florida. Although the neighboring islands of the Bahamas made them famous, conch fritters are another irresistible appetizer. Outside of the local dishes, the Palm Beach area has a strong Cuban culture and a happening foodie scene with plenty of fusion restaurants offering any combination of Thai, Japanese, Italian, French, new American and countless other cuisines. Colorful, floppy hats help block the strong sun of the region and add an element of fashion to beach attire; they can be found at most gift shops. Close to the port is Sea Shell City for T-shirts, shells and other souvenirs. Visitors also can spend a day shopping in West Palm Beach, where they'll find many more options, including some more unique finds and higher-end items. If you're in the area on a Saturday during the fall, winter and early spring months, check out the West Palm Beach Green Market. In addition to local produce, vendors offer crafts, art, souvenirs and more. During the market, there are live musical performances, free activities for kids and mimosa specials.